SPRINGFIELD — Missouri Baptist messengers hung on every word Ken Graves said. Graves, with his booming Hollywood-quality voice, ended his sermon by reciting a poem he wrote called “Still More,” which is based on Jesus calming the storm in Mark 4. 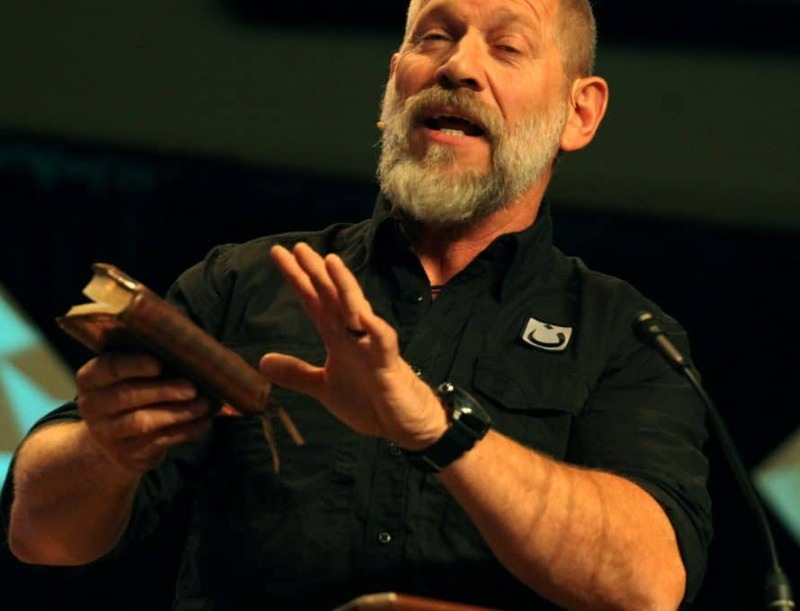 Graves, a self-proclaimed “unschooled and rough-edged preacher,” brought the sermon message on Oct. 23 during the Missouri Baptist Convention Annual Meeting at Crossway Baptist Church here. Speaking out of Luke 24, he challenged Missouri Baptists to be people of redemptive conviction in a godless culture. The events of Luke 24 take place three days after the crucifixion, a dark and confusing time for the disciples. Scripture describes two disciples walking on the road to Emmaus when, unbeknownst to them, Jesus himself in his resurrected body appears and explains “to them what was said in all the Scriptures concerning himself” (Luke 24:27), beginning with Moses and all the Prophets. Graves said what’s needed to change that trajectory and to keep from going down that dark road, is for preachers to adhere to the expositional reading of the word of God.